Something special is brewing in Egg Harbor Township. 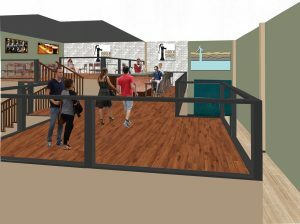 Hidden Sands Brewing Company is excited to announce they’ll soon be serving up some of the best craft beer in the area when they open later this year in the Township. The beer produced by Hidden Sands will feature locally sourced ingredients straight from the Garden State. Taking further advantage of their location – their key ingredient will be the pristine water from the Atlantic City Sands aquifer that is estimated to be aged 30,000 years and is otherwise known as the “800’ Sands” aquifer – the origin for the name Hidden Sands. Major renovations are currently underway at 6754 Washington Avenue, Unit B, where Hidden Sands will operate. 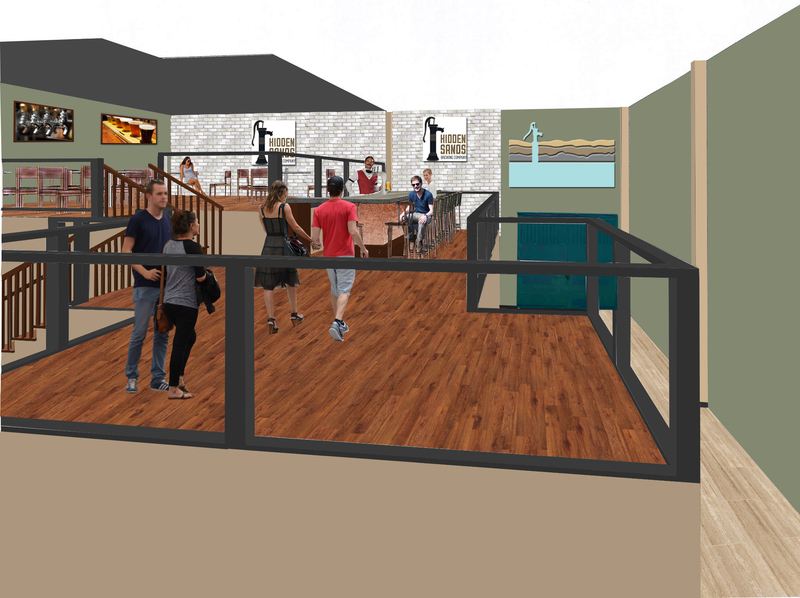 The building will serve as a premier tasting room featuring 6 different craft beers. Guests will be able to view the operations, taste the products, learn about the process, enjoy and take home the specialty beers. Conveniently located right off the Garden State Parkway and the Atlantic City Expressway, Hidden Sands is the perfect place to make a quick stop for visitors headed to the shore and locals looking to grab a couple of growlers. Craft beer is hotter than ever right now, but Hidden Sands is bringing something a little different to the table. While many craft breweries start with home brewers looking to make it big, Hidden Sands is a business composed of an extensive 4 vessel brew house, high quality ingredients and experts in place – with founders who pledge to focus on quality and consistency. Hidden Sands will employ a Certified Brew Master who will work with an efficient and automated brewing system that will ensure the highest quality beers are consistently being made for customers to enjoy. Hidden Sands is planning on brewing a Pilsner, a Light Pilsner, a Pale Ale, an India Pale Ale, a Wheat Beer (seasonally flavored), and a Lager. Hidden Sands has one of the most sophisticated brewing systems in the world. The fully automated, 20 barrel system is very rare and will allow the brewery to consistently produce the same quality beer over and over again. “They’re coming into the market in a big way,” said Rick Sorenson Young, Project Manager for Diversified Metal Engineering. “Of the 650 or so systems we’ve installed around the world, maybe only ten of them have been this complex and we’ve worked with some really high-profile clients.” Hidden Sands Brewing Company’s system is so impressive, that it will be what Young’s company showcases during the Craft Brewers Conference in Philadelphia this week. Hidden Sands Brewing Company is a joint venture between John Cipriani (Certified Public Accountant) and Matt Helm (Commercial Refrigeration and Beer system designer/installer). John and Matt have known each other since childhood, and while they professionally come from different backgrounds, they both embody the same entrepreneurial spirit. Both went on to build successful businesses in their respected fields, but continued to search out their next endeavor. After hosting several beer tastings with friends, they decided to take a big step – and start a brewery of their own. Another key member of the team is Tony Cepparulo (Commercial bar and kitchen installer), who is also a managing member of the brewing company. Matt and Tony have a long history, having built numerous restaurants together over the span of nearly two decades. After spending countless hours together, working on various projects, they’re excited to now have their own venture. Matt, John and Tony, along with a group of several other entrepreneurs, raised the necessary capital and financed the balance with Fulton Bank of New Jersey. The money will be used to transform the EHT Washington Avenue warehouse, purchase the state of the art brewing equipment, and get the business off the ground for an opening in 2016. Work will continue at Hidden Sands Brewing Company as they prepare for an anticipated late fall 2016 opening. Updates on construction progress and fun facts will regularly be featured on their website http://hiddensands.com/. You can also keep up with what’s happening by “liking” their Facebook page, Hidden Sands Brewing Company. Set to open in 2016, Hidden Sands Brewing Company takes locally brewed craft beer to a whole new level. Digging deep to tap the 800’ Sands fresh water aquifer in the area, all Hidden Sands brews are made with quality, locally sourced ingredients. Focusing on consistent quality, state of the art equipment ensures that great tasting beer you experience at the Egg Harbor Township brewery is the same each time you visit and order a glass at your local pub. Hidden Sands Brewing Company is located at 6754 Washington Avenue, Unit B, Egg Harbor Township, NJ 08234.